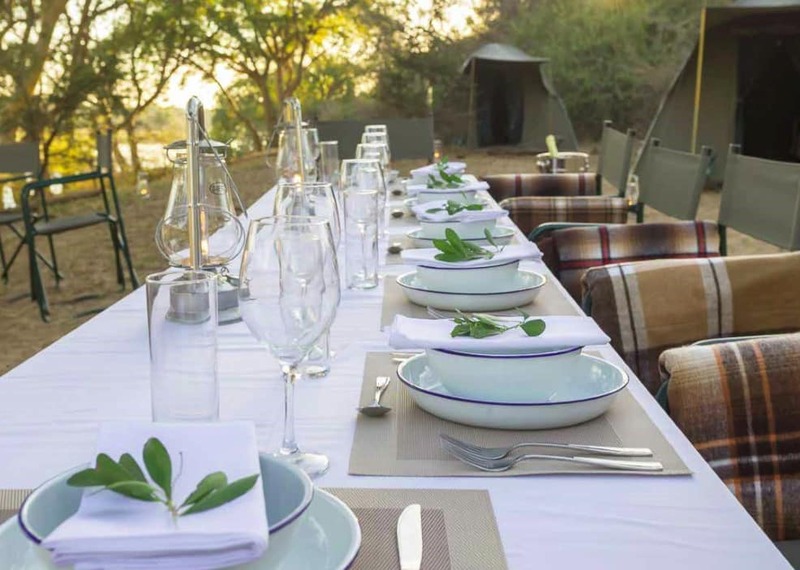 Plains Camp is built in the pioneer tradition like a 19th century naturalists’ retreat. 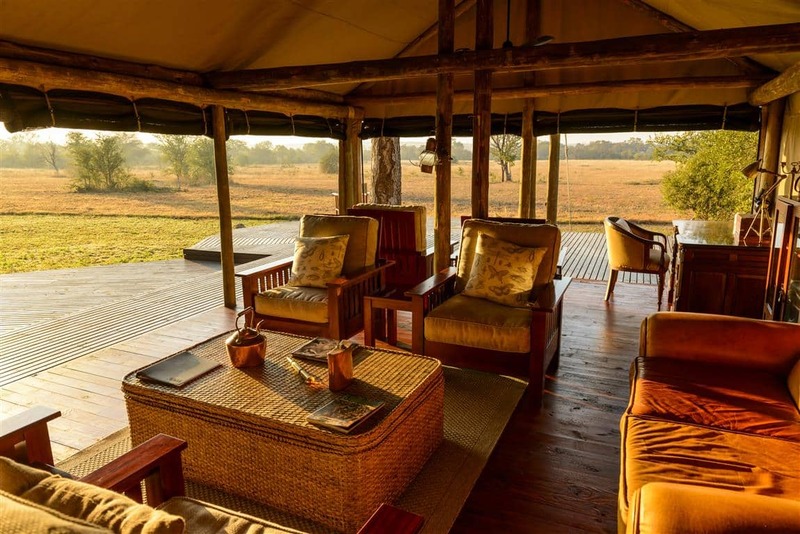 It nestles in an Acacia Knobthorn thicket overlooking a Timbitene plain and a waterhole. 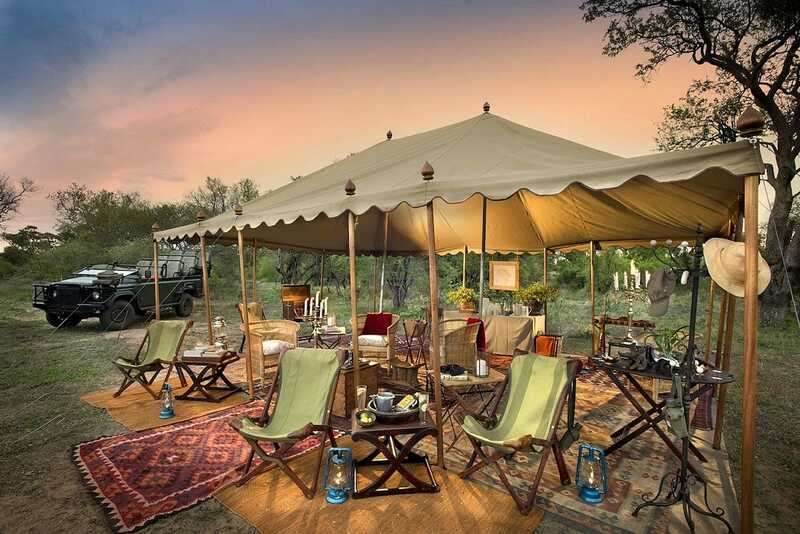 Four luxury African explorer-style tents accommodate 8 guests, usually for three or five day walking trails. 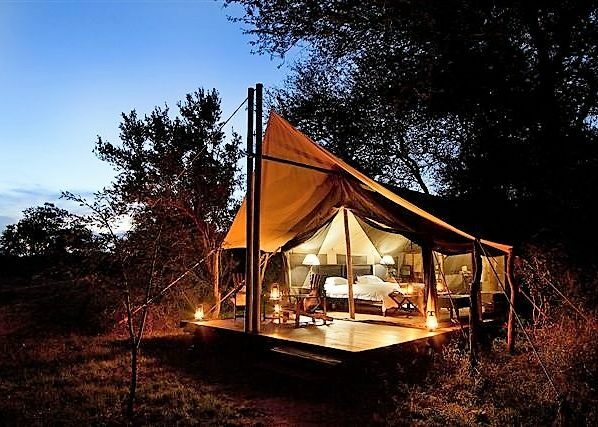 Tents have hot water and home comforts, plus wilderness on your doorstep. 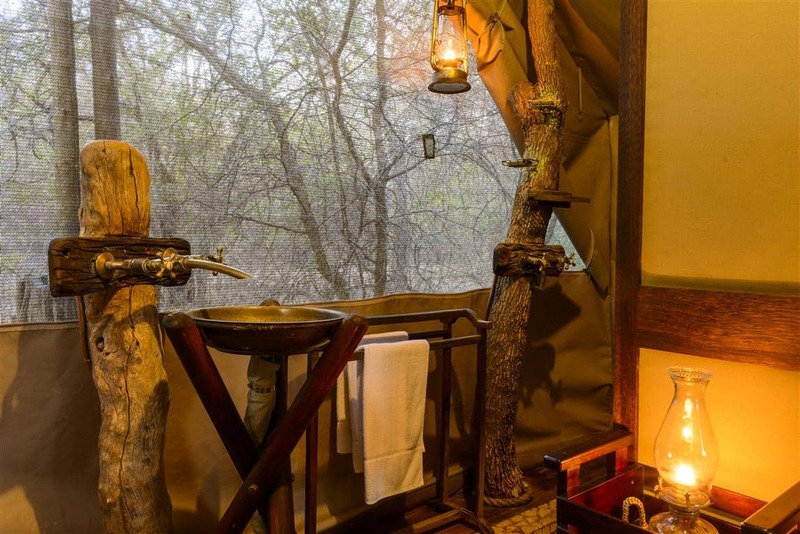 Showers are mounted on tree trunks. Electricity comes from the sun and from generator batteries which power fans and can charge your camera. There is a communal lounge and dining area with an outside fireplace. An Africana book collection and antique treasures evoke a golden era. 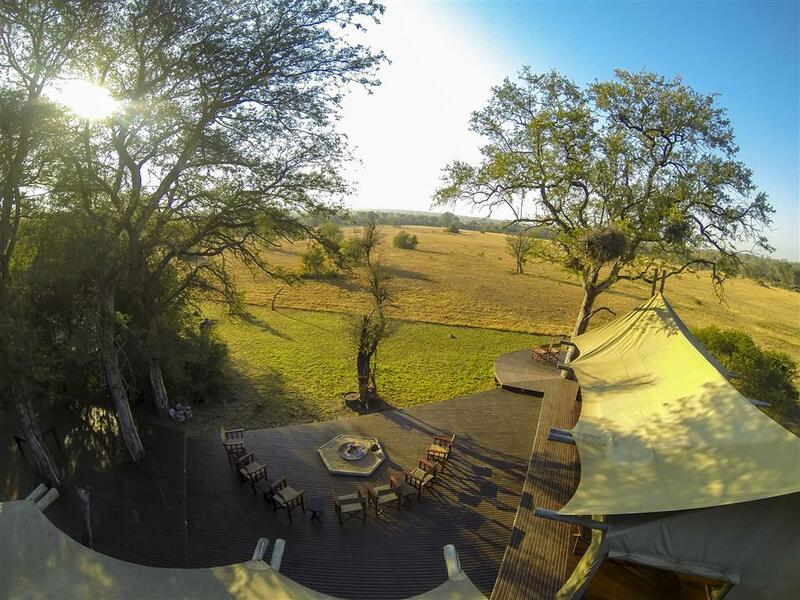 The full name of the camp is Rhino Walking Safaris Plains Camp. 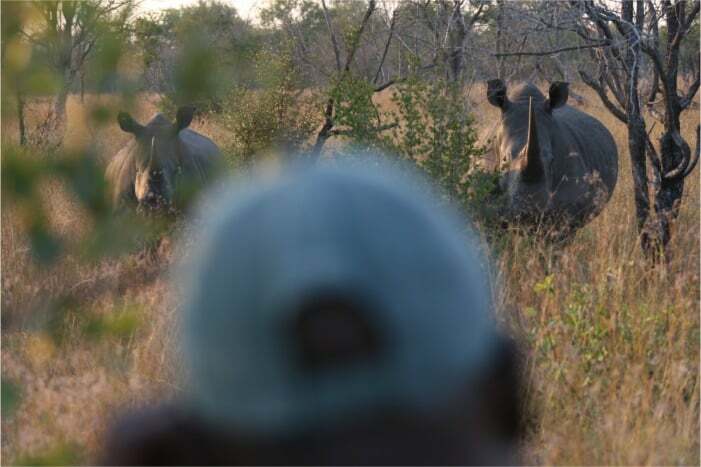 It is not surprising therefore to find rhino – black and white – on foot. It is remarkable how closely these animals allow you to approach (safely). 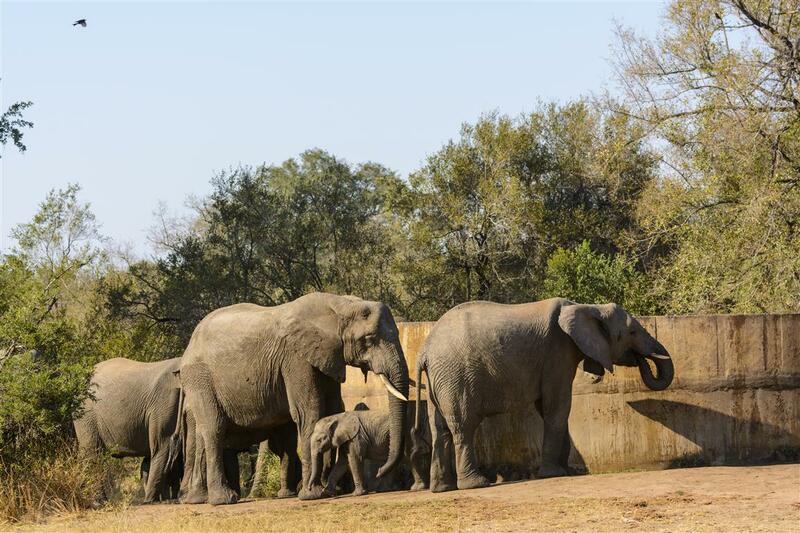 Elephant are frequent visitors to the camp. 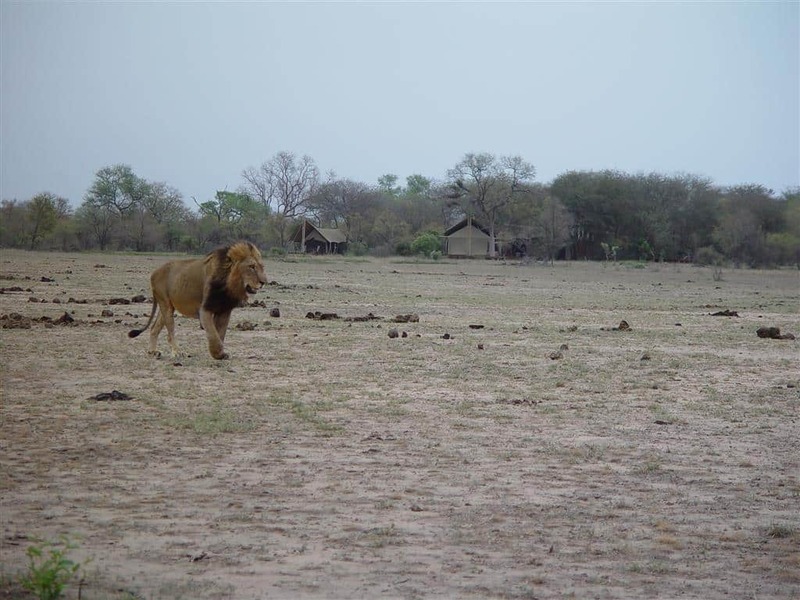 Morning walks last for 3-4 hours, guided by two armed rangers. They take place early in the morning (the earlier the better!) and after tea in the afternoon. They can be lengthened or shortened depending on your desire and fitness. Walking offers a different pace and perspective, compared to drives. Take time to identify animals, trees, grasses, insects, birds. Learn the medicinal uses of plants. 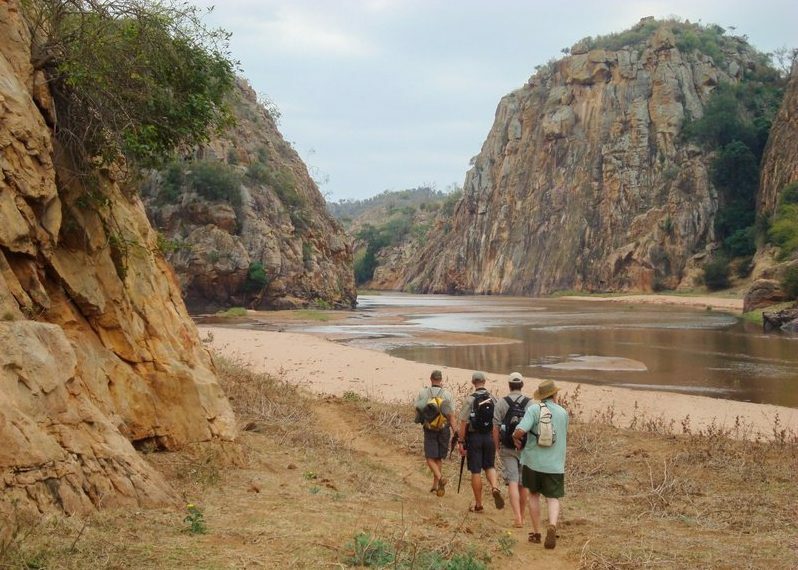 Guides touch on bush culture, local folklore and show you basic tracking and survival skills. 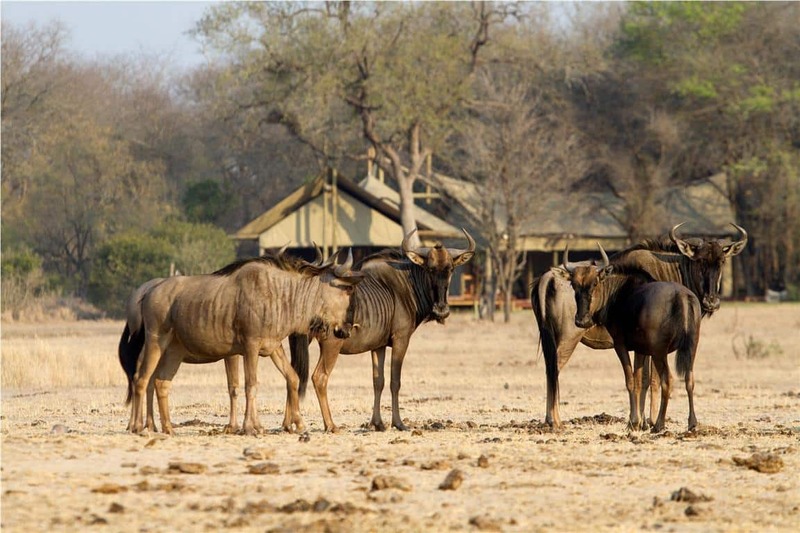 Your guide and tracker have a vehicle in camp at your disposal for evening drives where you can explore further afield. 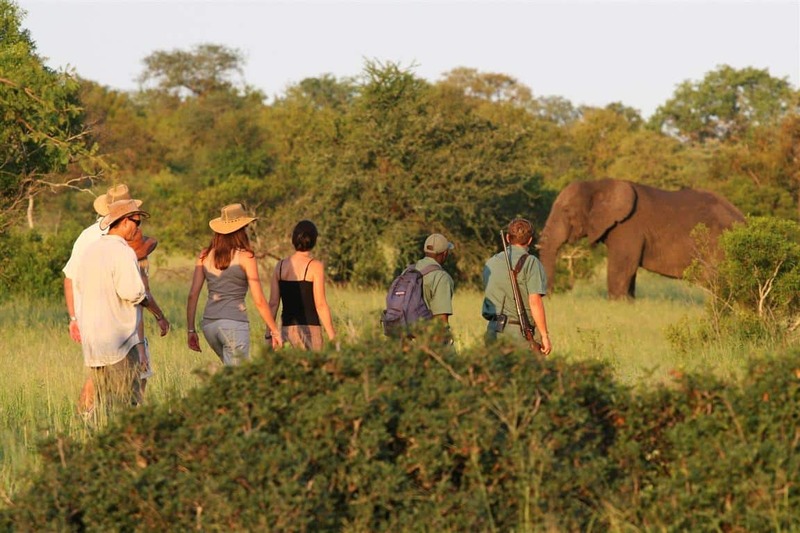 These can lead to more opportunities to see the Big Five and the nocturnal and crepuscular creatures that you may not (want to) encounter on foot. 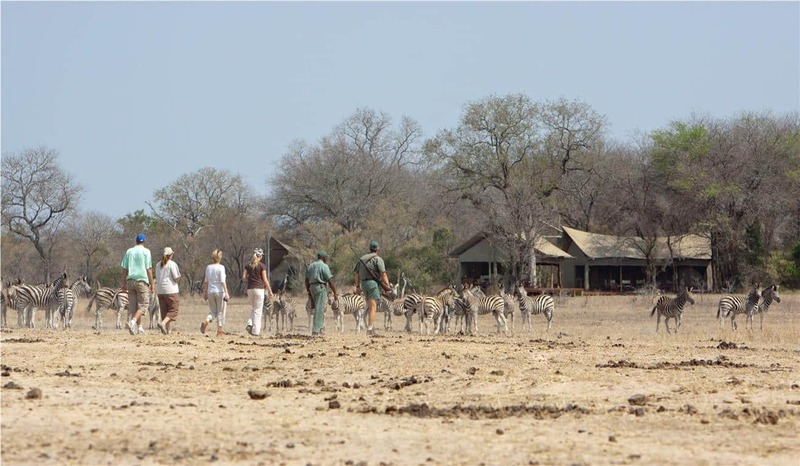 Trails depart from Rhino Post to Plains Camp on Tuesdays (2 or 3 nights), and Fridays and Sundays for 2 nights (or multiples of 2 nights). 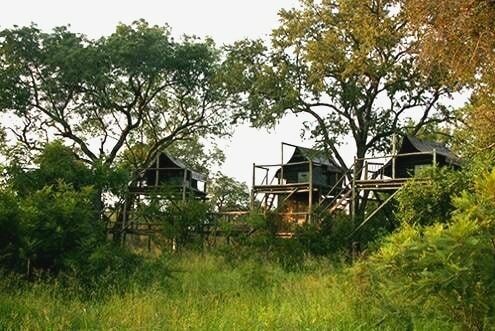 The three-day trails allow for an optional (highly recommended) night sleeping out on platforms located 40 minutes walk away from Plains Camp.